﻿ Anti-Lock Brakes: What Does the Anti-Lock Braking System Do? Home Auto Insurance Guides What Do Anti-Lock Brakes Really Do? What Do Anti-Lock Brakes Really Do? Let’s talk about your abs. No, not the rock-hard muscles in your midsection (although they’re very impressive) — your car’s ABS, or anti-lock brake system. You probably don’t think about it much. In an era of ever more sophisticated car safety technology, anti-lock brakes are taken for granted. But your ABS works really hard to keep you safe. 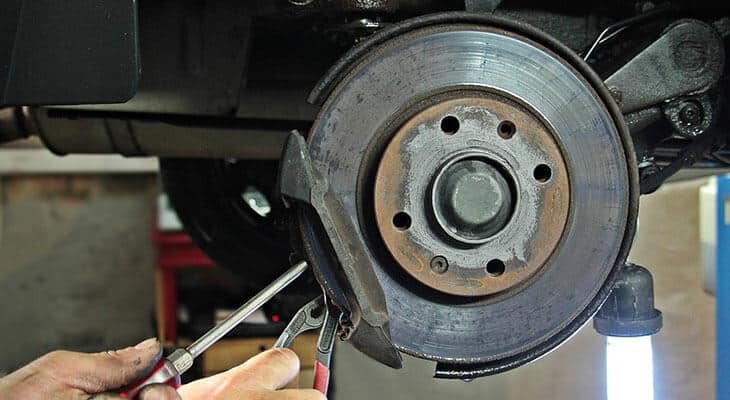 Here’s how anti-lock brakes work, and how to maintain the ABS in your car. Keep in mind that even the most advanced braking systems can’t prevent every accident. That’s why it’s so important to have dependable auto insurance coverage. We can help you shop around for the best and most affordable car insurance. Back in the olden days of driving (like, the 1970s), people learned to pump their brakes on slippery roads to prevent the wheels from locking up. There’s an art to this — “cadence braking,” which means rhythmically and rapidly applying the brakes and then releasing. Supremely skilled drivers can do something called threshold braking, which means holding the brakes just at the point of maximum friction to stop the car as quickly as possible. Then automakers came up with a better system: anti-lock brakes, which automatically pump the brakes to prevent skidding. How do anti-lock brakes work? With ABS, sensors monitor each wheel as it spins. 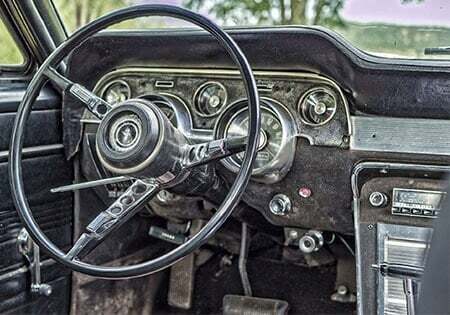 If one slows down too suddenly, the central controller operates a valve in the brake line to lift the pressure from the tire, letting it speed up again, then applies more pressure to slow it. The driver may feel this on-off-on-off braking as a pulsing in the pedal. Want to test your ABS brakes? AAA suggests driving your car on a loose gravel lot (without any people or traffic around) and hitting the brakes hard. What is electronic stability control? Any car manufactured after 2012 also has electronic stability control, which adds another layer of control to braking. Like the ABS, electronic stability control applies brakes to individual wheels, but it also reduces engine power to help you keep control of the car when you swerve or skid. It’s a complex system, with sensors that detect how the car is rotating (yaw), which way you’re steering, and how fast the car is going. All these sensors work together to essentially figure out what you, the driver, intended to do when the car started sliding out of control. “The control module recognizes the discrepancy between the intended path (communicated by the steering angle sensor) and the actual path (communicated via the yaw rate sensor) and sends a signal to the hydraulic unit” to brake the appropriate wheel, Jalopnik explains. So basically, your car acts more quickly than you can. And this system works. According to the Insurance Institute for Highway Safety, electronic stability control reduces the chances of a fatal single-vehicle crash by 50 percent, and the risk of a fatal rollover by almost 80 percent. My ABS light came on. What do I do? Get the sensors cleaned and calibrated as part of your regular auto maintenance. The sensors can get dirty, which may cause them to not work correctly. Change brake pads when needed. If you hear a screeching or whining sound during normal braking, it’s probably time for new pads. Check the brake fluid and change it when recommended. If the brake fluid is low in the master cylinder reservoir or the ABS brake system reservoir, your ABS light may come on. Don’t use it all the time. Your anti-lock brake system is really for emergencies only, so you shouldn’t be slamming on your brakes just for kicks. If you can feel the ABS engaging all the time, get it checked out.